Wanagiri Hidden Hill Bali Tour is by far the most booked one-day tours aside from the Bali Waterfalls and Kintamani Volcano Tour or Ubud Waterfall Tour. On this trip, travelers will be able to experience the awesome attractions in Bedugul in North Bali. All these sites are referred to as most bookmarks locations in Northern Bali for photography and also Instagram photoshoot. Besides visiting Wanagiri Hidden Hill Swing, and Bali Handara Gate, we also combine with venturing a few other well-known places such as Taman Ayun Temple and Tanah Lot Temple to ensure that within a day we are able to travel the best and the popular sightseeing attractions in Bali. This is a full day private Bali driver hire to explore the best attractions in North Bali. The itinerary is adjustable and flexible, our professional tour driver will be ready to drive and guide you to discover the top places which are located in Bedugul in North Bali. The first place that we are going to visit for the full day itinerary of Wanagiri Hidden Hill Tour is Taman Ayun Temple or recognized as the beautiful garden temple. Taman Ayun Temple (in Indonesian: Pura Taman Ayun) is situated in the village of Mengwi, Badung Regency, around an hour drive from Denpasar City. The temple has been built and functions to praise the wonder of God as well as to worship the ancestral spirits of the rulers of the Mengwi Kingdom. 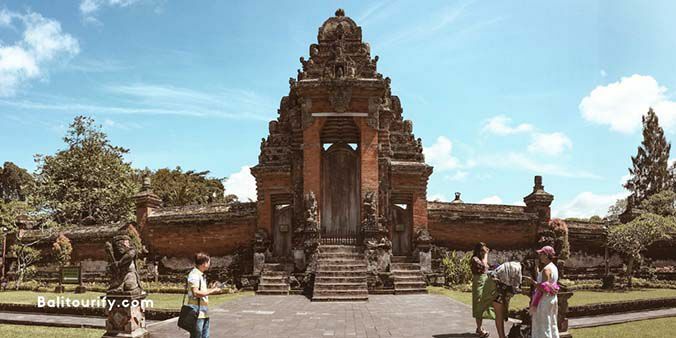 This temple began to be constructed in 1632 and was completed in 1634 by King I Gusti Agung Putu who has been assisted by an architect from China called I Kaco. Taman Ayun Temple has a fabulous design and is surrounded by parks and dams utilized as irrigation sources. In 2012, UNESCO crowned this important temple as one of the five locations in Bali as a cultural landscape and as a major supply of water for irrigation which is still considered applying the traditional irrigation system known as Subak. The second place to go to within a full day schedule of Wanagiri Hidden Hill Tour is Ulun Danu Beratan Temple or better known as the Bali temple on the lake or Bali temple on the water. It is found in Bedugul in Candikuning Village, Baturiti, Tabanan Regency, more or less 53 km or 1 hour 15 minutes drive from Denpasar City. Ulun Danu Beratan Temple was built by the King of Mengwi named I Gusti Agung Putu in 1634 and it was built for worship to God as a source of prosperity. Ulun Danu Bratan Temple sets on the edge of Lake Bratan and appears just like floating above the water. The fresh and cool atmosphere of the mountains and delightful surroundings make this place visited by many visitors every single day. 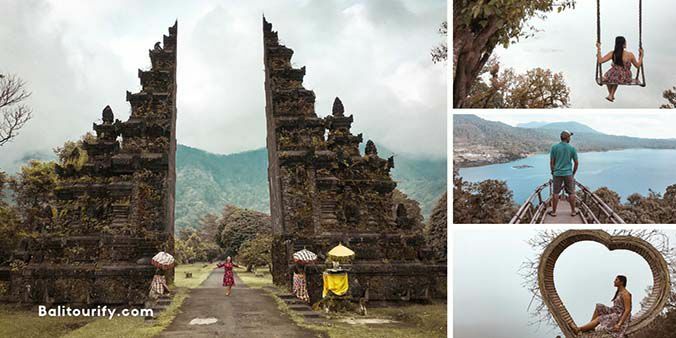 The following destination to visit in the one day Wanagiri Hidden Hill Tour itinerary is Bali Handara Gate. Bali Handara Gate is an iconic Balinese design and style gate entrance, it is situated within the primary road of Denpasar - Singaraja. Located in Bedugul, Candikuning Village, Baturiti, Tabanan Regency, around 7 km or 5 minutes drive from Ulun Danu Beratan Temple. Bali Handara Gate is actually the access to Handara Golf & Resort Bali, this gate is becoming renowned and it is increasingly being visited by people since it is highly suitable as a spot for a photo shoot. The next place to be visited on this itinerary is Wanagiri Hidden Hills together with the famed Bali swing and selfie spots. Wanagiri Hidden Hill location is in the main street to Munduk, sets in Wanagiri Village, Sukasada, Pancasari, Buleleng Regency. The main attractions which we will find in Wanagiri Hidden Hills are the swing, the bird nest, and other photo spots with sights of the twin lake (Tamblingan Lake & Lake Buyan) and also Mount Lesung & Mount Batukaru as the backdrop. 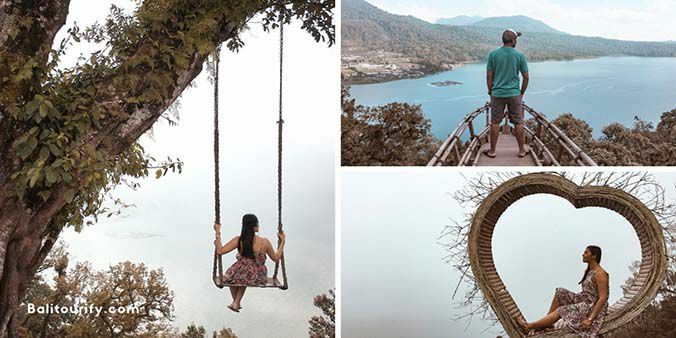 The swing in Wanagiri Hidden Hill Bali is not an extreme swing but the swing that is only used for photos. Wanagiri Hidden Hills can be a highly recommended place to visit in North Bali for photography. We will stop for approximately 1 hour for lunch break before we proceed to the next site through this full Day Wanagiri Hidden Hill Bedugul Tour itinerary. 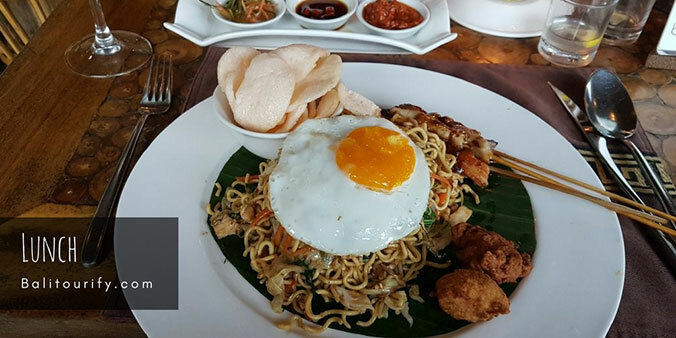 We will take you to the restaurant for lunch that has a local food menu located within the Bedugul area in North Bali. Bedugul is a mountainous region and a famous tourist destination in northern Bali, Ulun Danu Bratan Temple and Lake Beratan are located in Bedugul. Additionally, you can also try Luwak coffee (civet coffee) which is well-known as one of the most delicious coffees around the world. 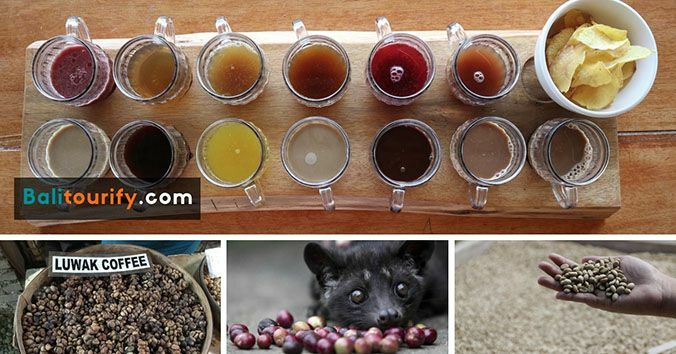 You can try to taste a range of herbal teas and coffee for free of charge, however, to test the civet coffee you're going to be charged IDR 50,000 per cup. Luwak Coffee or Civet Coffee (Indonesian: Kopi Luwak) is the coffee made through a unique method because it is produced using coffee beans which have been eaten and digested by civet/mongoose and then processed traditionally. Luwak is also known as civet or mongoose is an animal that loves to consume grains and fruits. The native habitat of Luwak can be found in the forests all over South Asia and Southeast Asia. The final spot that we are going to visit from the whole day Wanagiri Hidden Hill Tour schedule is Tanah Lot to experience the beautiful sunset. 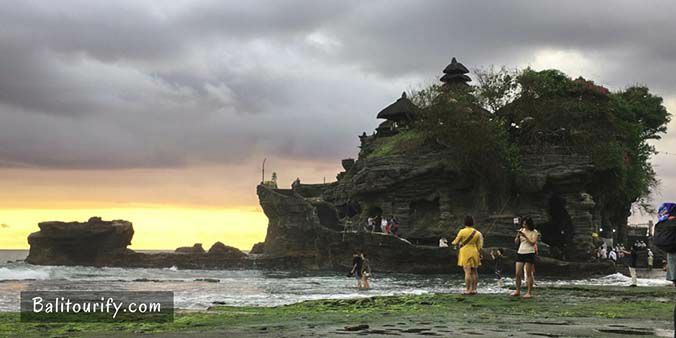 Tanah Lot (Pura Luhur Tanah Lot) is a sea temple set on the massive rock, situated on the southwest coastline of Bali island, precisely located in the village of Beraban, Kediri, Tabanan Regency, Bali. Tanah Lot has become the most visited tourist destinations by holidaymakers. The majority of them come to Tanah Lot to enjoy the stunning sundown with the background of the temple in the sea. Tanah Lot Temple was built in the 16th century by a priest from Java island named Dang Hyang Nirartha or generally known as Dang Hyang Dwijendra. Tanah Lot Temple was built to worship the god of the sea called Dewa Baruna. Balinese people come to pray at this temple to praise God in its manifestation as a God of the sea to invoke the salvation of the world and also to maintain the earth and sea balanced. Tanah Lot is the last place that we will visit and we'll return to the hotel after sunset. General information of the entrance fees and the opening hours of the attractions on the itinerary of The Full Day Wanagiri Hidden Hill Bali Tour. The Pick-up time and location of The One Day Private Wanagiri Hidden Hill Tour Bali. Below are the common things to bring on The Full Day Bali Wanagiri Hidden Hill Tour. We accept cash payment for The Whole Day Wanagiri Hidden Hill Bali Trip. You can pay directly to our driver on the same day of the tour. You are free to cancel the booking of The One Day Bali Wanagiri Hidden Hills Tour. You must inform us in one day before the tour (24 hours earlier) for the cancellation. Below are the numerous commonly asked questions about The Full Day Bali Wanagiri Hidden Hill Tour, please get in touch with us for more information. What's included in the full day Bali Wanagiri Hidden Hill Tour? What is NOT included in the full day Wanagiri Hidden Hill Bali Tour? It does NOT include lunch, entrance fees for visiting the places, and any other personal expenses. Is the price listed in The One Day Bali Wanagiri Hidden Hill Tour for per person or per vehicle? The price listed in the one day Bali Wanagiri Hidden Hill Tour is per vehicle (NOT per person), our vehicle capacity is maximum 6 persons. If you book the full day Wanagiri Hidden Hill Tour for 1 person or maybe 6 persons then the price will be the same (IDR 600,000). What to bring on The Whole Day Wanagiri Hidden Hill Bali Tour? You can use simple casual wear, bring along a bottle of drinking water with you to prevent dehydration (the island of Bali has high humidity), sunscreen to avoid skin burns (Bali is hot), sunglasses, cash (for lunch, entry fees or shopping), medicine (if in treatment), camera/smartphone. How much is the entrance fee to visit Taman Ayun Temple? IDR 20,000 /person is the price of the entrance to visit Taman Ayun Temple (updated 2018 - 2019), you are able to pay it directly on the location (The Taman Ayun Temple entrance fee might change without any prior notice). 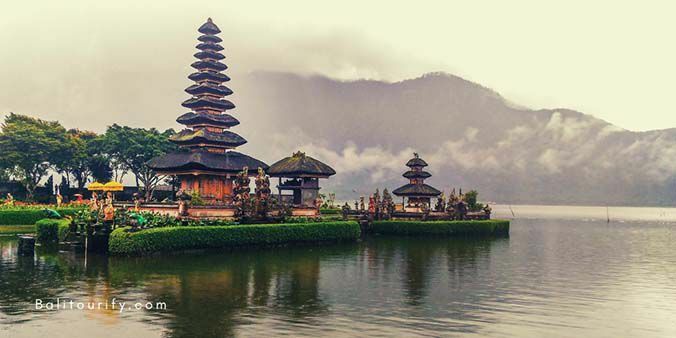 How much is the entrance fee to visit Ulun Danu Beratan Temple? IDR 50,000 /person is the price of the entrance to visit Ulun Danu Beratan Temple (updated 2018 - 2019), you are able to pay it directly on the location (The Ulun Danu Beratan Temple entrance fee might change without any prior notice). 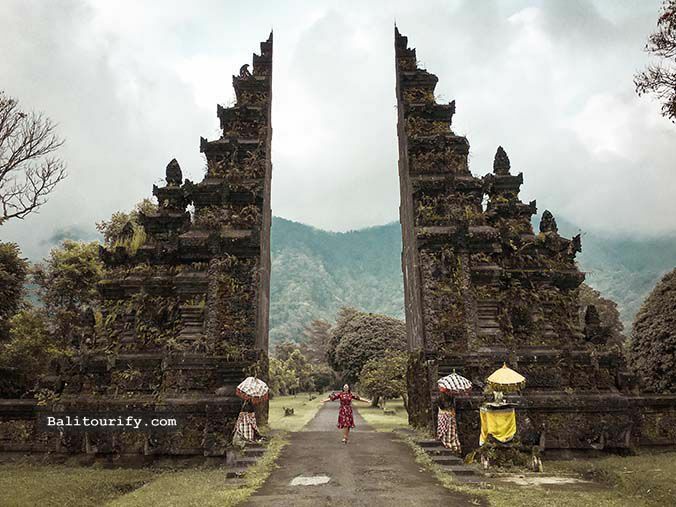 How much is the entrance fee to Bali Handara Gate? IDR 30,000 /person is the cost of the entrance to visit Bali Handara Gate (updated 2018 - 2019), you are able to pay it directly on the location (The Bali Handara Gate entrance fee might change without any prior notice). How much is the entrance fee to visit Wanagiri Hidden Hills? IDR 50,000 /person is the entrance fee to visit Wanagiri Hidden Hills (valid for 2018 - 2019, the fee may change with no prior notice). How much is the entrance fee to visit Tanah Lot? IDR 60,000 /person is the entrance fee to visit Tanah Lot (valid for 2018 - 2019, the fee may change with no prior notice). I am interested to do the whole day Wanagiri Hidden Hill Tour, how do I book? You can easily fill your details in the Book Now tab below to book the one day Wanagiri Hidden Hill Tour. You can also send us an email or at this page to book this tour or any other day trips and activities by mentioning the identification published in each Day Tours on our site (for example, WHHT-01 is the ID for The Full Day Bali Wanagiri Hidden Hill Tour) and you must book at least one day in advance. How can I pay for the one-day Bali Wanagiri Hidden Hill Tour and how much money does it cost? At this time, we accept payment in cash, the price is 600,000 IDR (Indonesian Rupiah), you can pay directly to our driver who accompanies you on this tour. We will convert the price based on the daily exchange rate if you would like to pay in other currency. Please note that the price of the full day Bali Wanagiri Hidden Hill Tour is per vehicle (it is NOT per person). How do I cancel the booking of this Full Day Bali Wanagiri Hidden Hill Tour? You are free to cancel the booking of this Full Day Bali Wanagiri Hidden Hill Tour with no cost, but you must notify us about the cancellation at least one day in advance by sending us an email or calling to our contact number.